It was an extremely slow day today. Most regulars turned up. However the numbers were low. The designer was not able to attend. He will be coming over in the next issue (World Post Day) to autograph the products. That should be 09 October 2017. Today is another rare day without any setenants being sold. In its place, the Bandung Malaysia Serama was on sale. The response was again very slow. I believe the collectors have reached purchasing fatigue. A Special Order form for the Straits Settlements issue was also released. 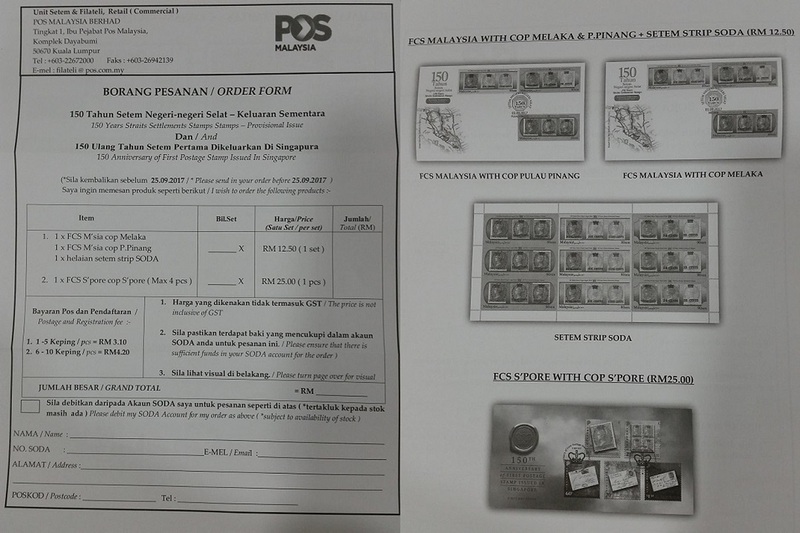 A set of Melaka cancellation FDC, Penang cancellation FDC and Straits Settlements Setenant retails at RM 12.50. The final cancellation has the word “150th” in the shape of the old postmark. 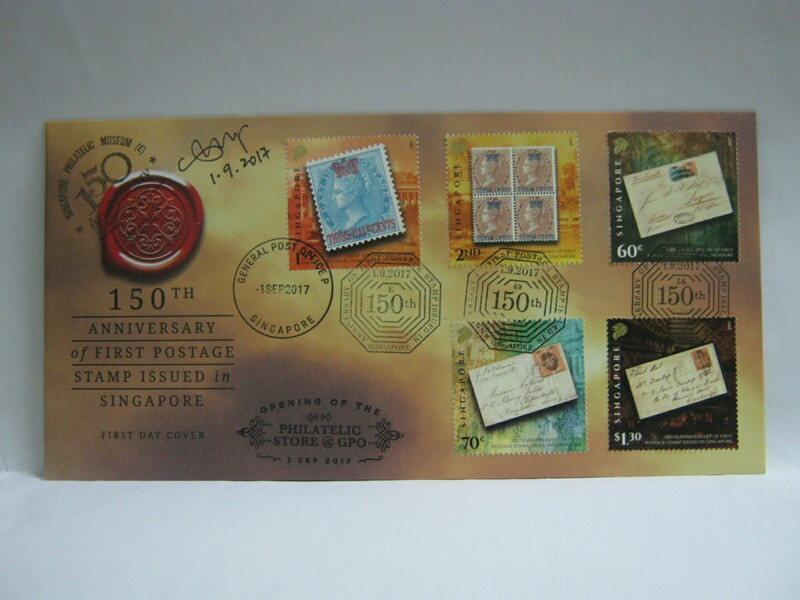 Here is an actual personalised Singapore FDC with the actual cancellations. The prices shown are before GST. Feel free to download the form, fill in and fax in the order. It is for Standing Order Deposit Account (SODA) members only. Where to get the different chops for straits fdc? Friday 15th sept can still get? Thank you. 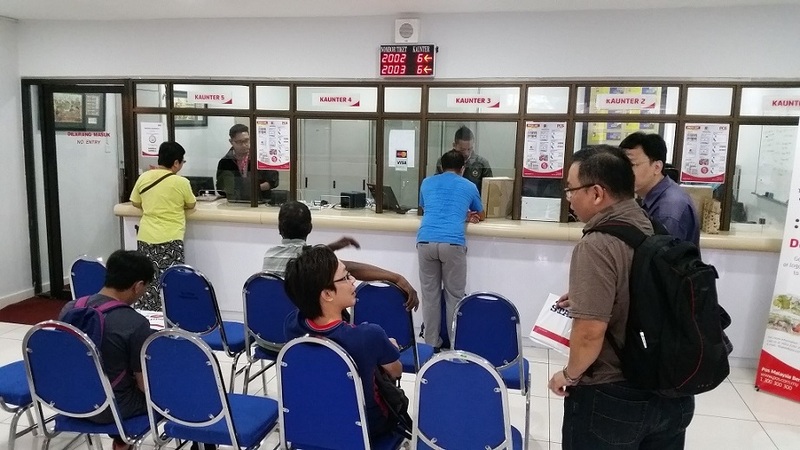 In Penang, Melaka and KL, it is unlikely to get the chop after the first day.